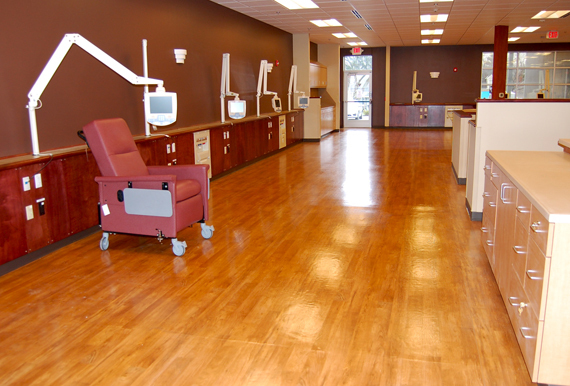 Durable Floors has decades of experience managing commercial flooring. We have a clear understanding of the challenges facilities managers face. 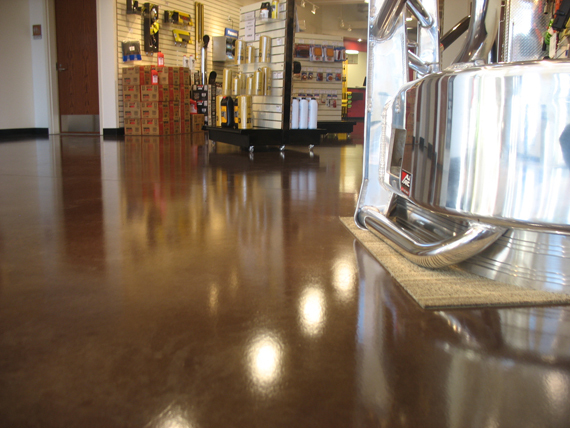 After a careful real world examination of your needs, our team can recommend durable commercial floor coatings that deliver the high gloss, long-lasting results you are looking for. 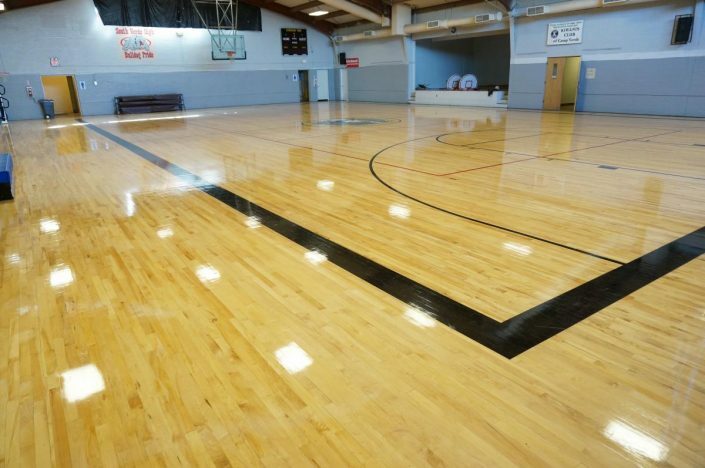 Durable Floors has a solution for a wide variety of surfaces. Don’t hesitate to contact us today! Durable Floor’s coating solutions will save your facility tens if not hundreds of thousands of dollars & many hours of man labor & floor down time. If you would like more information about our revolutionary solutions – PLEASE CONTACT US! 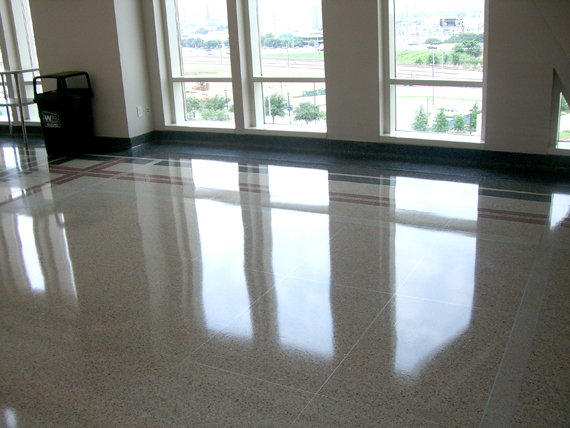 Vinyl is one of the most common types of resilient commercial floors. Vinyl is softer and more flexible than other resilient commercial floors the material can be installed in tile or sheet form. 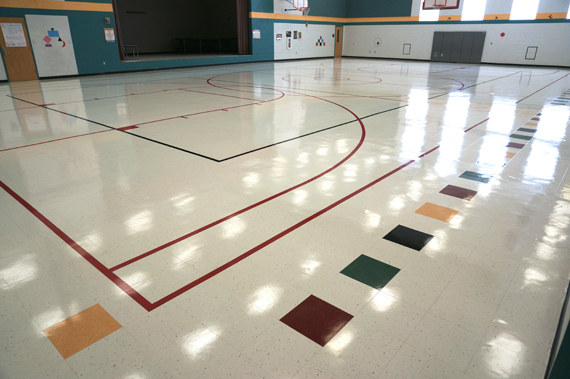 Our cutting edge floor coatings can be applied on school wood floors such as gym floors. Click here for a few reason why our floor coating solutions are the very best in the commercial flooring industry! Vinyl composition tile, better known as VCT is made from a vinyl plastic (PVC) binder with mineral filler. Generally, vinyl floor tile is often selected for high-traffic areas because of its low cost, durability, and ease of maintenance. Click here for more information! Many linoleum floors are a very old type of flooring constructed of linseed oil and felt. Many people call any resilient flooring “linoleum”, but true linoleum floors were very rare until recently. Rubber flooring is flexible, and is often used in commercial floor applications in recreational and multi-purpose rooms. 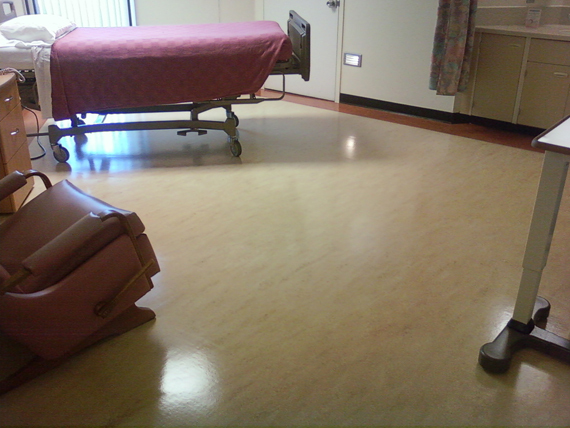 The cushioned commercial flooring material offers facilities managers a range of applications. 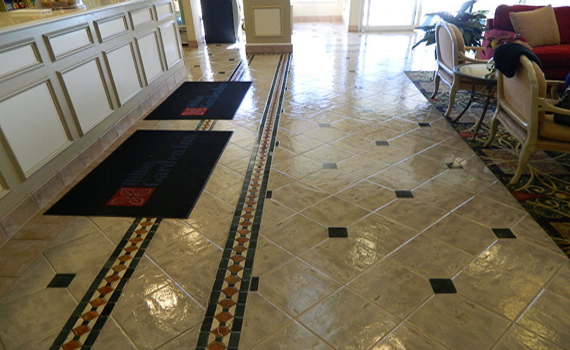 The ceramic tile family includes ceramic mosaics, quarry tile, and paved tile. Each of these forms of ceramic tile can vary widely in porosity. Most terrazzo is constructed from marble or granite chips mixed with Portland cement, poured in place and once cured ground smooth. Concrete material is porous and sensitive to acid and alkaline attack. Without proper attention and maintenance, the floors can be discolored and stained.